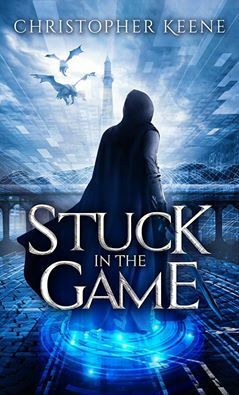 Christopher Keene’s first novel, a LitRPG adventure, Stuck in the Game, was published by Future House Publishing in August 2016 with the sequel, Back in the Game, following in 2017. 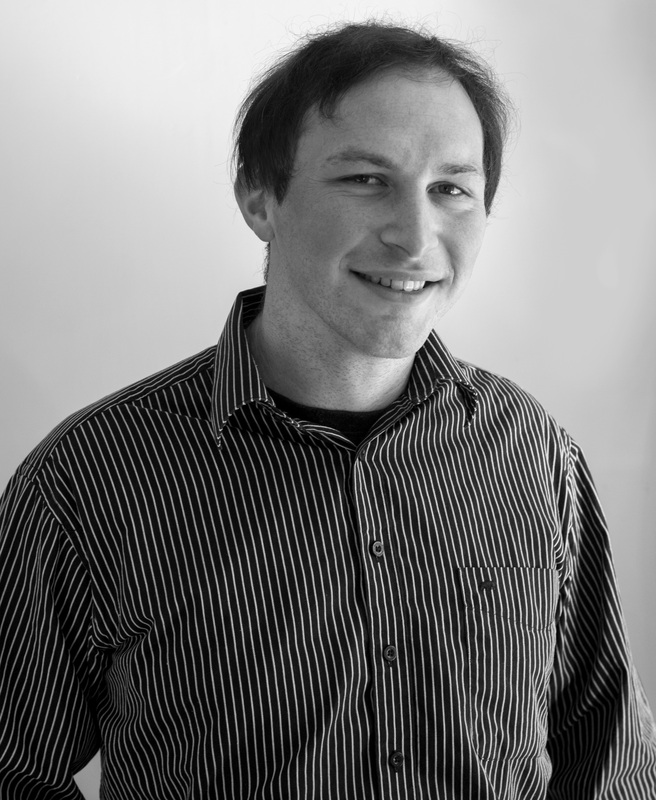 Christopher has a Bachelor of Arts degree in English Literature with Honours in Creative Writing. He has received two honourable mentions in the Writers of the Future competition and won first place in a creative writing competition for the University of Canterbury Gazette. Christopher recently signed a contract with Solstice for his grimdark/epic fantasy trilogy, A Cycle of Blades. The first book in the trilogy, Gods of the Mountain, is scheduled for release later this year. Welcome Christopher, can you please tell us a little about your books? Stuck in the Game and Back in the Game are my first two books in the LitRPG series, Dream State Saga. As their titles imply, they are the usual ‘stuck in a video game’ story trope, but with a bit of a twist in that the protagonist must stay in the game to help him recover from a car crash which paralyzed him and put his partner in a critical condition. Aside from that I also have an epic fantasy trilogy in the works, a dystopian sci-fi novel under contract with Lang Publishing and am currently under negotiation with a few publishers for a fantasy story that uses New Zealand and Māori mythology as the basis for its setting and magic. What exactly is LitRPG, and what inspired you to write in that genre? According to the Facebook group LitRPG is a sci-fi or fantasy story that follows two rules: 1) It involves some type of explicitly stated progression (ie leveling, report of item finds, quests, etc). 2) It involves a game-type world of some kind that the main character has been involved in. I’ve had feedback that Dream State Saga is a decent gateway series for anyone wanting to give this genre a try. 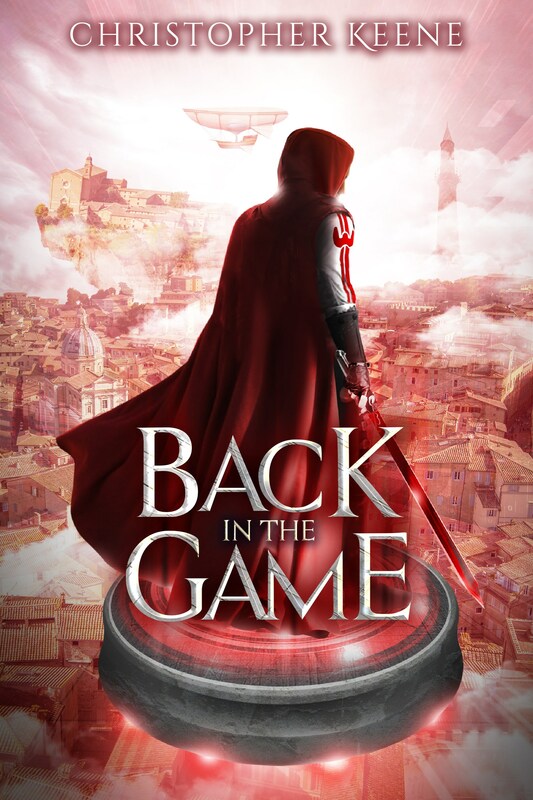 When I first wrote Stuck in the Game I didn’t know LitRPG was even a thing, and I doubt many authors whose books fit into it (e.g. Tad Williams and Ken Catran) know about it even now. I was lucky to find this niche market after my book’s release. What inspired me to write the book was when a friend of mine (who the book is dedicated to) bet me I couldn’t write a story as good as anime like Sword Art Online, .Hack/Sign, and Log Horizon after I criticized their stories. I want to say I succeeded, but anyone who has watched these shows are free to let me know whether or not they concur. You chose to take the traditional route, and went with the Future House Publishing, can you tell us a little about the process of seeking a traditional contract? I’ve always found the traditional publishing route to be a lot like fishing. Through much trial and error, I finally found the right formula for writing a good query letter or as I like to call it, the bait. Querying is pretty much the bread and butter of submitting to agents and publishers and once it was pitch perfect, I started throwing out some lines; submitting it to agents and publishers alike in the hope of getting a bite. I actually got two bites at once, one was from Future House for Stuck in the Game and the other was from my agent for another book. I decided to race them to see which would get a book out quicker. Needless to say with two books to zero, Future House turned out to be the bigger catch. The covers are beautiful! What is it like to work with a publisher? What are some of the advantages? Disadvantages? Thanks! A word I would use for what it’s like working with a publisher is motivating. Knowing that other people are going to be waiting on your input and suggestions really encourages you to work hard and think about things you might not have if you’re self-publishing. For the other advantages you pretty much hit the nail on the head, they supply the cover art that you want, as well as the many stages of editing and marketing. The disadvantage is that once it’s released you have to go through a proxy to fix any errors that might be found. Luckily there’s only been a few of these. As a poor student at the time, the biggest motivation to traditional publishing was that it cost me nothing. As a novice to publishing I didn’t want to spend money I didn’t have on something that professionals could do for me. 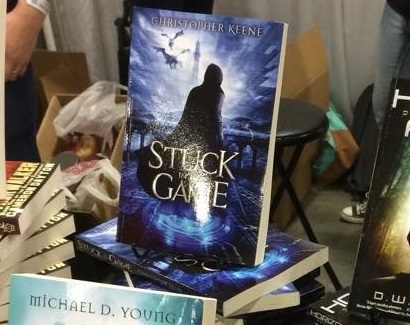 Stuck in the Game on display at ComicCon, 2016. Do you have any advice for any of our members who might be seeking a publisher for their own books? There’s no dancing around it, traditional publishing is a competitive industry. Unless they’re trying to scam you, no publisher is going to choose you out of the thousands of other people submitting unless your writing is good, and the only way to be a good writer is to be honest about how bad you are now and dedicate yourself to improving. The other side of the coin is resilience. More often than not, you will get rejections. I received hundreds before realizing what I needed to make my query letters stand out. Learn from them, second guess yourself, get a second opinion, and remember that you’re selling yourself as well as your writing so try to be professional. More books! As mentioned above, a dystopian story is coming out soon as well as my first adult fantasy book, not to mention the Dream State Saga is getting another sequel. It’s a big jump for me going from a smaller publisher to a larger publisher and I’m hoping to catch one of the Big Five in the future. I’m always juggling several projects at once so who knows which one is going to help me break into the big time. Either way, both the goal and the process itself is enjoyable to me, so I feel I win either way. Thanks Christopher! It’s been great chatting with you. And you can buy his books, Stuck in the Game and Back in the Game in ebook format, via Amazon. Future House Publishing publish Science Fiction, Fantasy, Young Adult, and Middle Grade books, with distribution in ebook and print in Barnes & Noble, Costco, Amazon, and through independent retailers. They have published 40 books since their formation in 2014, but are not currently accepting submissions. This entry was posted in interviews, Our Authors and tagged interview.